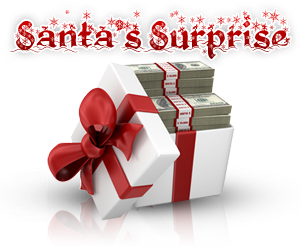 Make sure to login everyday to your Fly Casino account to view the daily Santa's Surprise. To claim, write support@flycasino.com ON December 7, 2014 to be credited with your free credits. Slot wagering is just 10X bonus on slots with 600.00 maximum winnings. Value Bonus! From 00:00GMT until 23:59 GMT, all members on their deposit of $/£/€10 or more will receive a 100% bonus up to 100.00 bonus. 125% BIG TUESDAY! From 00:00GMT until 23:59 GMT, all members are invited to receive a 125% bonus up to 125.00 on your first deposit of $/£/€ 30 or more.